The understated simplicity of this beautiful 14K White Gold vintage pendant makes it a real timeless classic. It is prong set with a lovely oval faceted natural aquamarine weighing approximately 75/100 carat which measures 5 x 7 millimeters. 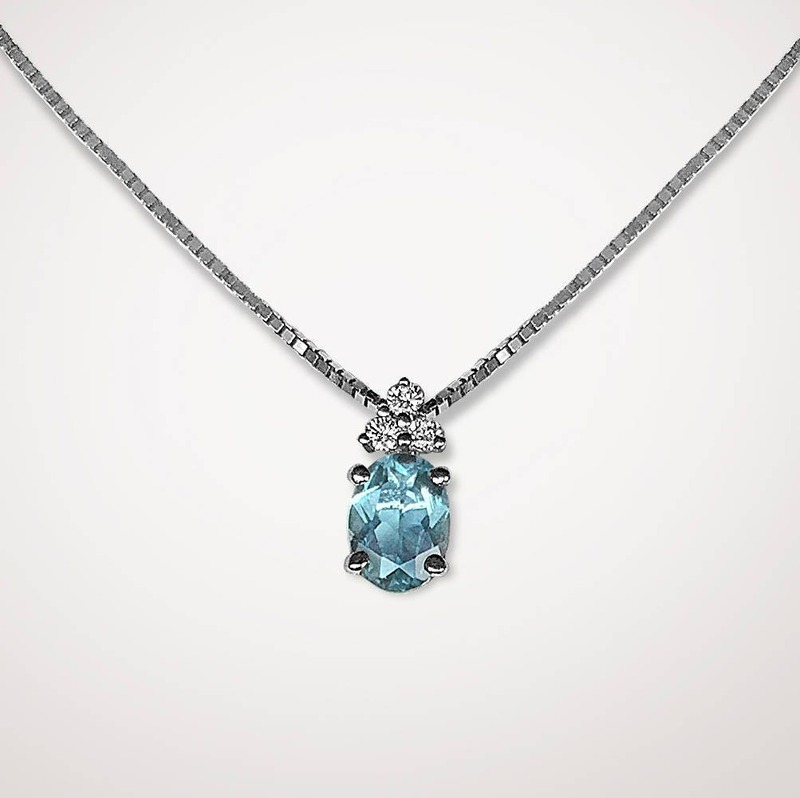 Aquamarine is especially meaningful to those born in March, as it is their birthstone. Additionally, it is set with 3 fine brilliant cut Diamonds with an approximate total weight of 6/100 carat. The diamonds are exceptionally, white, well cut and free of inclusions. The box chain is very well made and measures 18" inclusive of a lobster claw catch for great security. The chain is stamped "14K" and "Italy". If you prefer we can substitute another chain from our large inventory or you can purchase the pendant to be put on your own chain.